Season Outline: Rayna Jaymes (CONNIE BRITTON) and Juliette Barnes HAYDEN PANETTIERE) are at the top of their game, but in Nashville, the higher you rise, the farther you fall. In the aftermath of her mother’s death, Juliette is poised to shine brighter than ever – until a sordid scandal threatens to destroy her. Meanwhile, after Rayna nearly loses her life (and her voice) in a horrific accident, she bounces back with her own record label and a new man. But can she still electrify audiences without Deacon (CHARLES ESTEN) by her side? Adding fuel to the fire is the revelation of who Maddie’s real father is; and as Deacon and Maddie (LENNON STELLA) grow closer, Teddy’s (ERIC CLOSE) resentment intensifies. Then, as the breakout star of Rayna’s newly launched label, a burnt-out, emotionally raw Scarlett (CLARE BOWEN) struggles to cope with life in the proverbial fast lane. The 5-disc release is housed in a standard DVD case and comes with a title-embossed semi-glossy slip cover. Features are rather slim. We get “Nashville”: On the Record Music Special (40:23) which is a TV special where stars perform the songs live in front of an audience and we go behind the scenes where they reflect on the music on the show. After that, there are some Deleted Scenes (5:28) and a Bloopers (2:42) reel. 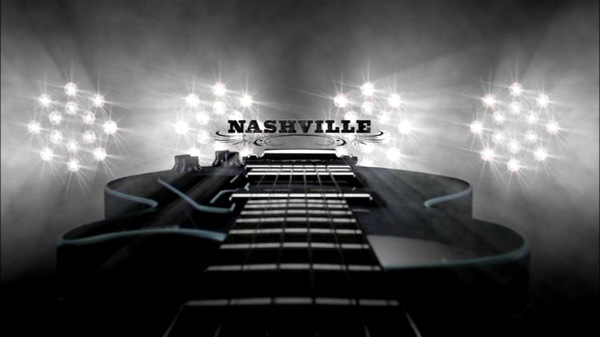 “Nashville” is presented with a nice looking 16×9 enhanced video offering bright colors and minimal pixilation. I’d imagine it pretty well matches with how the show looks on TV. The strong point of the Dolby Digital 5.1 track is obviously with the music which shines through while the dialogue levels are also crisp and clear. It’s not a great track and not quite dynamic, but it’s more than serviceable. 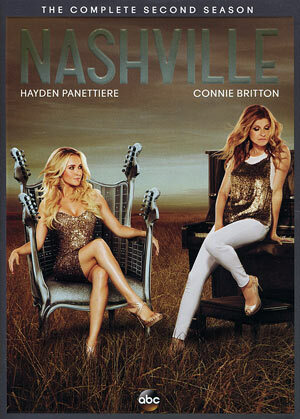 Overall, as with the first season, “Nashville” never was my cup of tea, in particular country music, however, the drama has enough soap to keep it entertaining and the performances by the cast, especially stars Connie Britton and Hayden Panettiere, are great throughout. The DVD released by Buena Vista offers up good audio and video transfers but the bonus material has much to be desired. That said, fans will be pleased with this set.